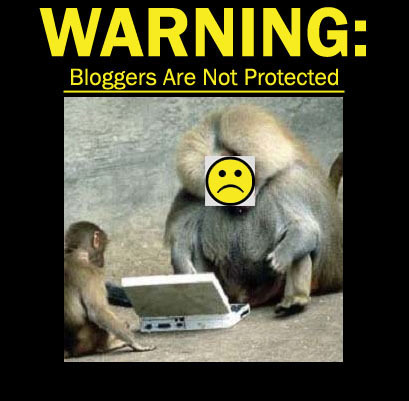 To all you Malaysian bloggers with blogs that are available for public viewing, I have a grave warning for you. Keep this in mind every time you want to write about something related to an organisation that is in a position to cause harm or inconvenience to you or your connections. I have recently had to write a letter of apology for a post I wrote about my visit to a local award-winning school. It was a simple post to share my experience with my readers. In that blog post, there was a very brief critique of their teaching techniques. I said that the teaching methods in this school was not that much different from other schools. Several months after being published, the principal of the school got to read the critique & apparently became really angry about it. Although she was not in a position to harm me, I visited the school as a student of my institute. If I do not take remedial action, my institute & the person who arranged the visit would receive a bad reputation. I realised that a majority of the people with authority in my great nation are not ready for free thought & public critique. They get really emotional & react according to that emotion. Sometimes they use their authority or power for ‘pay back’. #1 Keep Things Anonymous. If you do not have something favourable or nice to say, do not state any names directly. Hints may be employed to reveal the identity of the party to be mentioned. I hope that the principal’s passion & determination in calling up my lecturers to make an angry complaint about me, is also reflected in her desire to improve her institution. I hope that she is equally as focused on preserving pedagogic quality as she is on preserving reputation. If anyone has any grievances or complaints to make regarding what I have written here on my blog, please bring it up with me so the problem can be dealt with directly. My email is clearly displayed on my blog. USE IT. I will respond accordingly & appreciatively.